Tonight we will be working to defend our title as Cleveland Magazine’s Best Photographer of the East, and we’re so excited and honored! It seemed fitting to take this opportunity to share some recent photos of someone who helped us get here… Remember Sharon? Of course you do! She was an integral part of the KPP family for four years, and she just took on her newest and most important job as a momma! 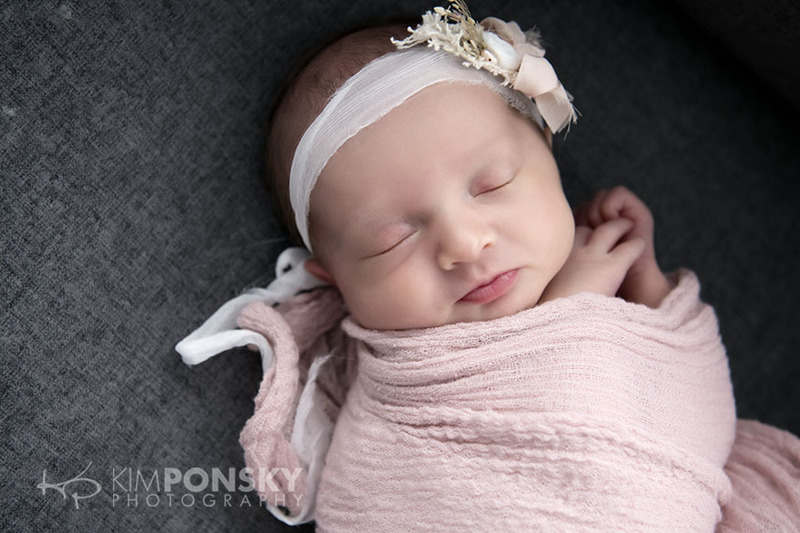 I couldn’t have been happier to get to meet and photograph baby Zoey only days after her arrival. 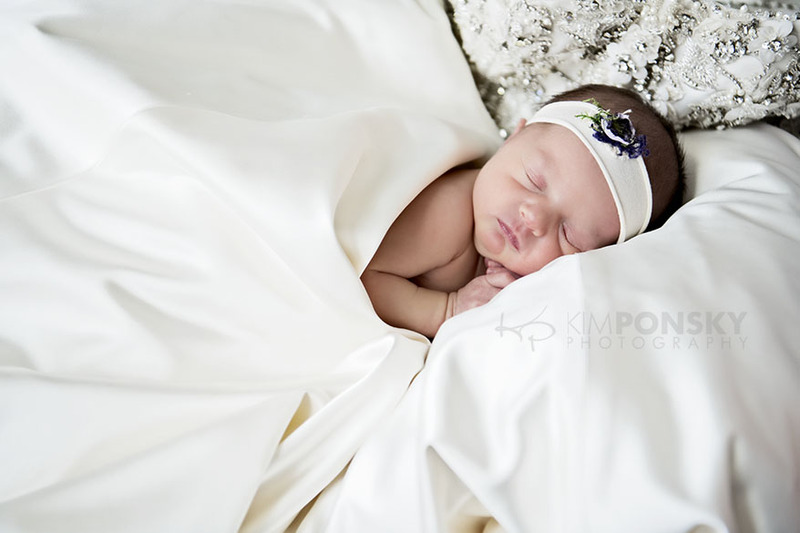 Her at home newborn photos used natural light from their many windows, and featured not only her parents, but their amazing dog James, and even Sharon’s wedding gown as a personal and sentimental prop. Even though Dad didn’t make the cut for these first preview shots, we’ll be sure to post more of our favorites soon and I promise to include him there! 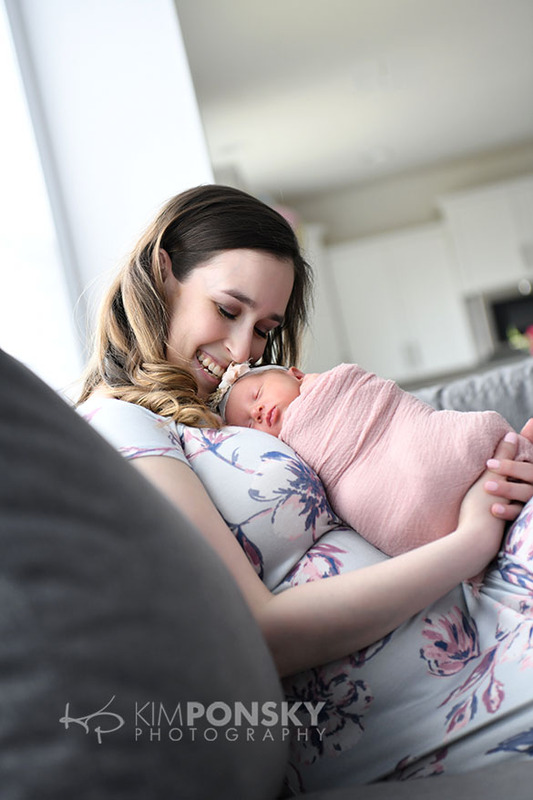 While I love the cute poses and the simplicity of a studio newborn shoot, I have to admit, I’m partial to the photojournalistic look of an at-home natural light newborn session. Here are some perfect examples of why… World, meet Zoey. These photos can rival Ann Geddes. 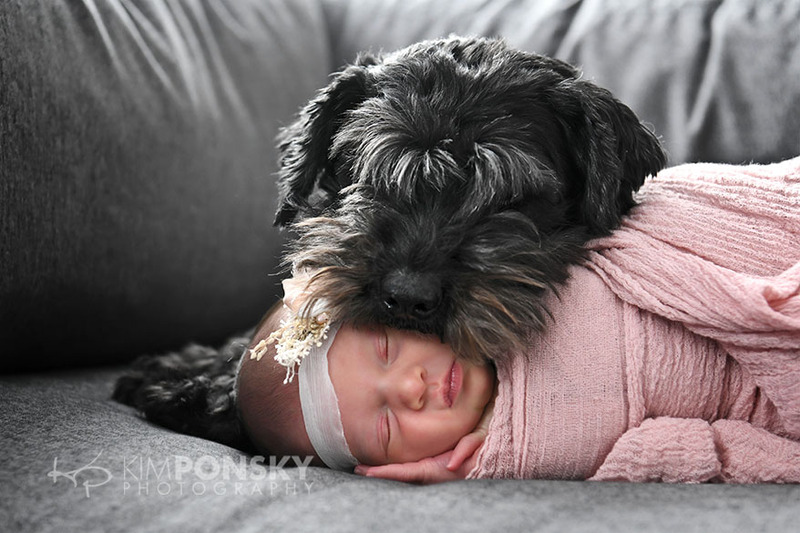 Just beautiful….love the one with the puppy. My great great niece is picture perfect!